INDePth Conference is Now Open for Registration! 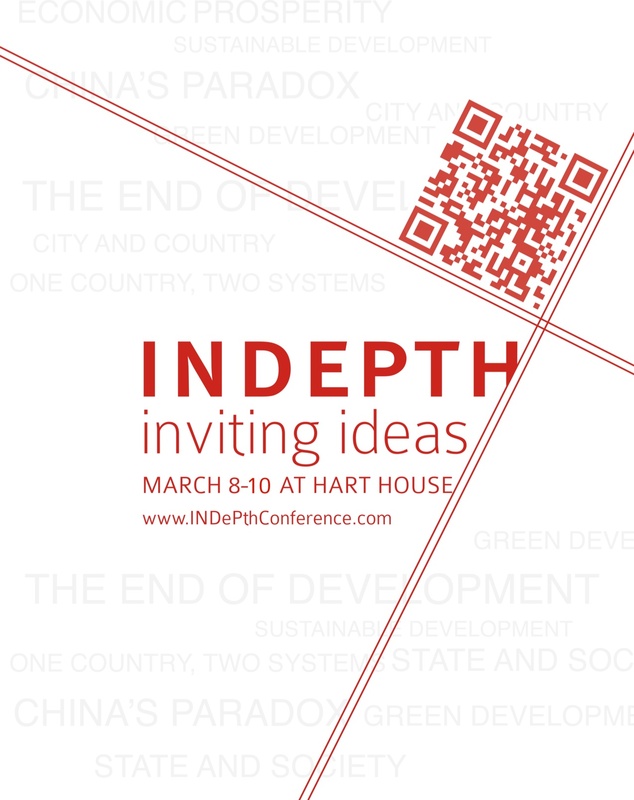 INDePth – Interrogating Notions of Development and Progress – is an annual student-run conference at the University of Toronto. The three-day conference comprises of panels, workshops, unconference sessions, a gala dinner and a Great Debate to not only facilitate intellectually stimulating conversations but also connect undergraduate and graduate students from across the globe. Focusing on China as a case study, INDePth 2013 proudly presents prominent speakers including David Mulroney (Former Canadian Ambassador to China), Joseph Fewsmith (Director of the Boston University Center for the Study of Asia), Andrea Chun (Lawyer, radio show host at CBC and Fairchild). The conference is sponsored by the Munk School of Global Affairs, the Asian Institute, Asia Pacific Foundation of Canada and many other organizations and has built networks with McGill University, University of British Columbia, York University etc. The one time registration fee grants you admission to our three-day conference at Great Hall, Hart House at the University of Toronto from March 8-10, 2013. You will be provided a nametag, a conference program, lunch and coffee break snacks each day at the conference. The fee also includes your ticket to the gourmet buffet style, semiformal Gala Dinner (catered by Hart House, worth 45 dollars) on the evening of March 9.
o For Group Registration (any group more than 10 students), we offer special discount. Please skip this process and directly contact internal@indepthconference.com before Feb.20 to acquire group discount.